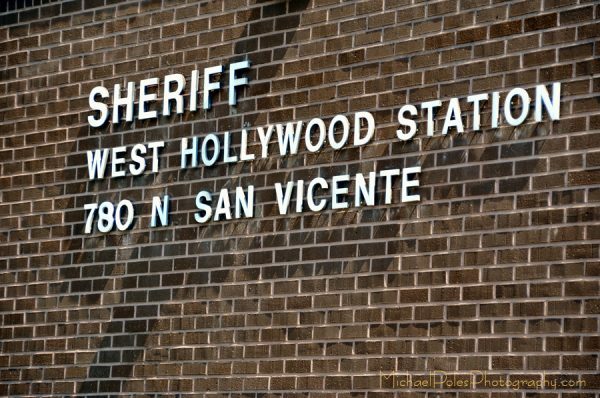 The Los Angeles County Sheriff’s Department has proceeded with its plan to promote Sergio Aloma and move him from his position as leader of the West Hollywood Sheriff’s Station. Aloma, formerly the station’s captain, as of yesterday (Sunday) was a commander in charge of Sheriff’s Department’s Custody Division in downtown Los Angeles. The West Hollywood Station’s acting captain is William (Bill) Moulder. Moulder has been the operations lieutenant at the West Hollywood Station. West Hollywood City Councilmember John D’Amico had asked that Sheriff Alex Villanueva postpone Aloma’s transfer given that a replacement hasn’t been chosen and that WeHo is in the midst of controversy over the deaths of two African-American men in an 18-month period in the Laurel Avenue apartment of Ed Buck, a white animal rights activist and political donor. While Aloma was promoted several weeks ago, neither the Sheriff’s Department nor City Hall made public his departure. WEHOville learned about it from Aloma on Jan. 9. Moulder’s appointment also was not announced. The Sheriff’s Department is likely to present several candidates to fill Aloma’s role to City Manager Paul Arevalo, who will interview them and make his recommendation. The final decision is up to Sheriff Villanueva. West Hollywood contracts with the L.A. County Sheriff’s Department for public safety services.